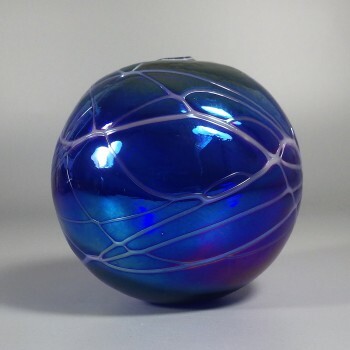 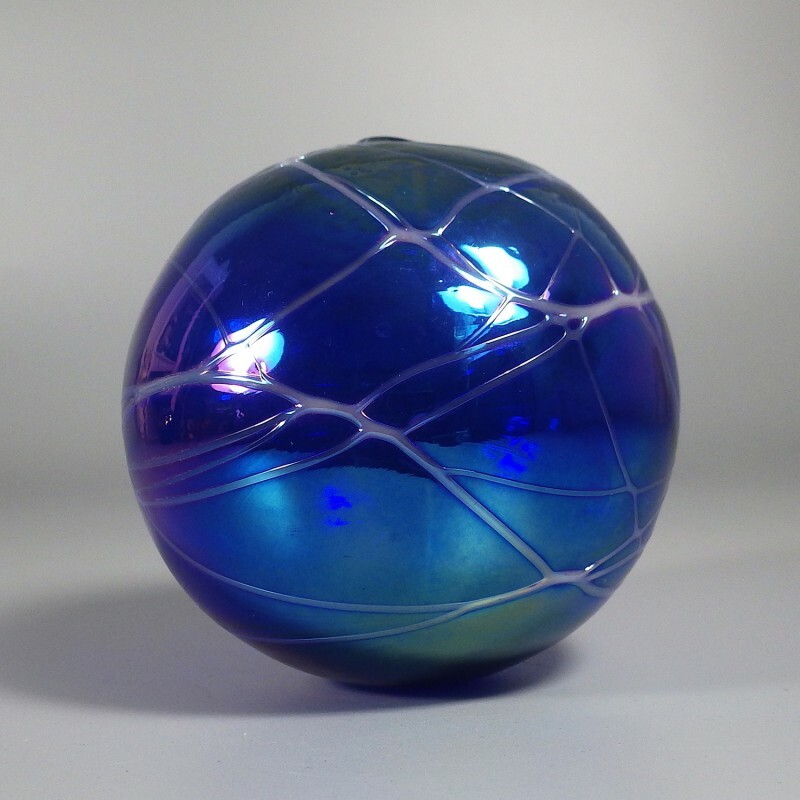 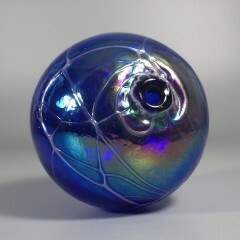 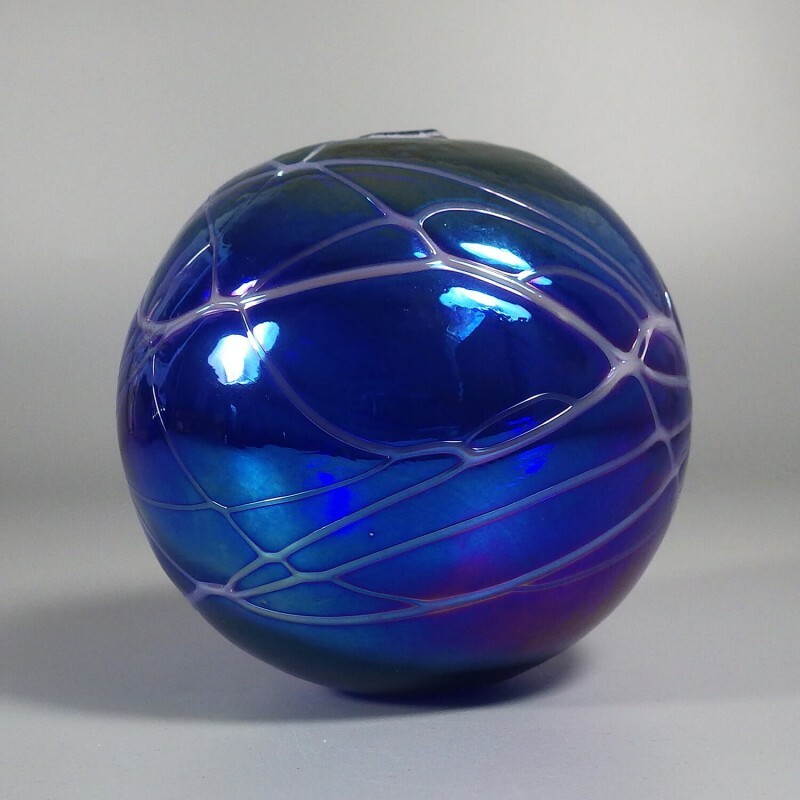 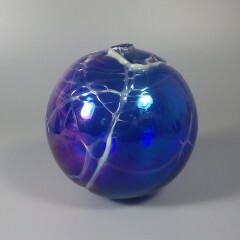 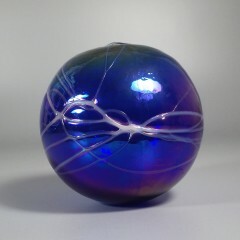 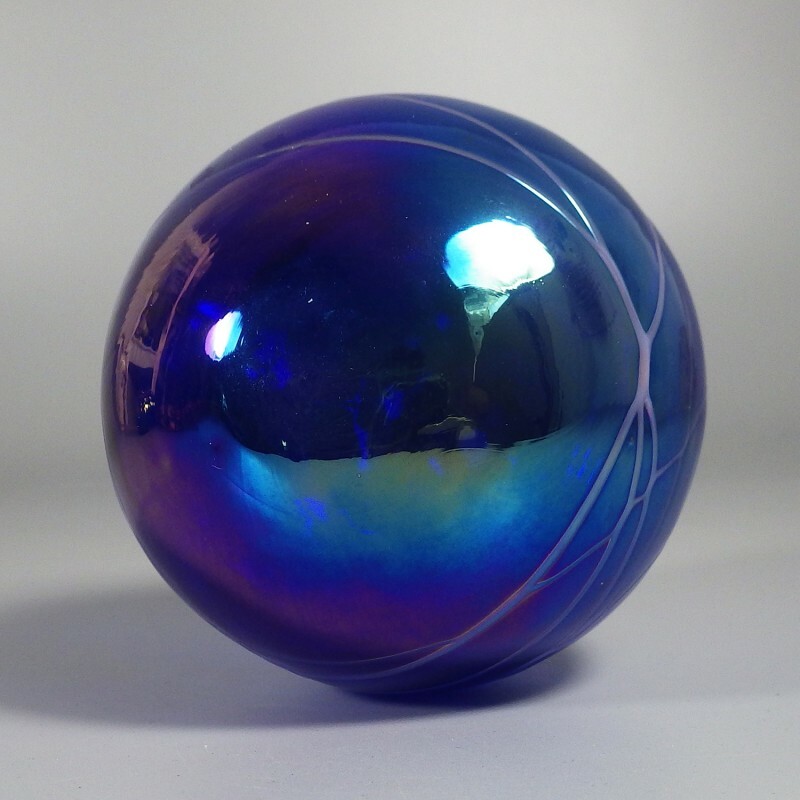 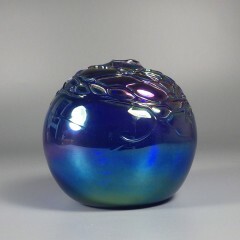 Another threaded cobalt blue art glass oil lamp by Gary Levi of the Levay Intaglio Art Glass Studio, this one is not signed but is decorated with a light drizzling of white threading and finished with a carnival iridescent treatment. 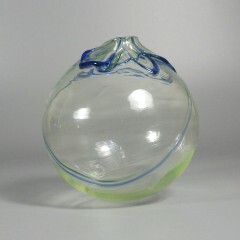 Measures just shy of 4 inches high and almost 4 inches in diameter. 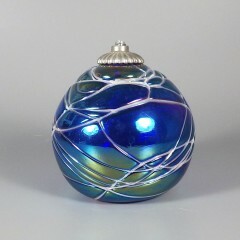 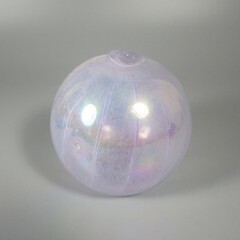 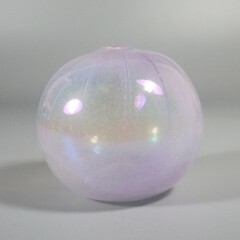 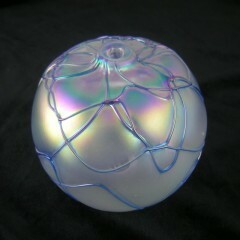 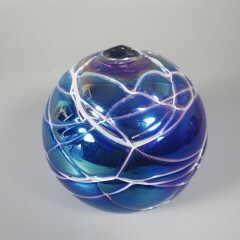 This art glass oil lamp is in excellent condition, with no nicks, chips, or cracks.